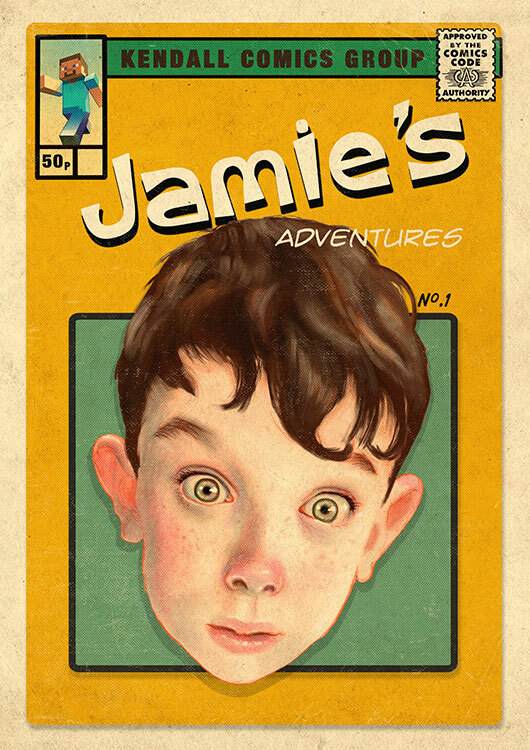 This little scamp is Jamie. His favourite thing is Minecraft. He has such a Norman Rockwell face, so he was a lot of fun to do.